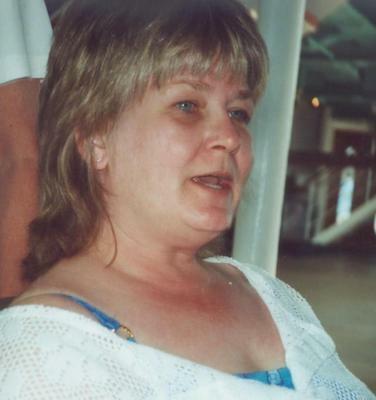 ELM GROVE, LA – Deborah Hawkins Evans, 60, passed away peacefully, with her family by her side at her home, Wednesday, December 23, 2015. She was preceded in death by her son Daniel Hornsby, brother Tommy Hawkins and infant sister Catherine Hawkins. She is survived by her companion of 20 years, Jerry Deaton, parents Willis and Catherine Hawkins, sister Susan May and companion Ronnie Horne, six grandchildren, Jacob and Jordan Hornsby, Sarah, Blake, Jordan and Miranda Deaton, nephews Justin and Zach May, T. J. Hawkins, and Troy Rougeau, nieces Hollie and Alyssa Rougeau and Heather May. Also a huge extended family and cousins and friends who were so helpful by her side anytime they were needed. The family would like to thank Dr. Veluvolu and his staff at Willis Knighton Cancer Center and Clay Jones at Fred’s Pharmacy. Memorial services will be held at 1:00 p.m. Saturday, January 9, 2016 at the American Legion, Hwy 527, in Koran Louisiana.